The brandy milk punch (or simply milk punch) is one of the true classics of the cocktail world. It dates back to sometime around the 1600–1700's when brandy and rum punches were a must at any party. The recipe for the larger serving is different than this single serving because in the "punch" the milk is meant to curdle, which is appropriate considering how long it sits before drinking. Many other variations of this milk punch can be found. Some add rum and some include egg for an eggnog-like drink. Pour the brandy, simple syrup, milk, and optional vanilla extract and egg into a cocktail shaker filled with ice. Shake well (if you choose to add egg, shake until it hurts). Strain into a punch glass. Dust with grated nutmeg for garnish. 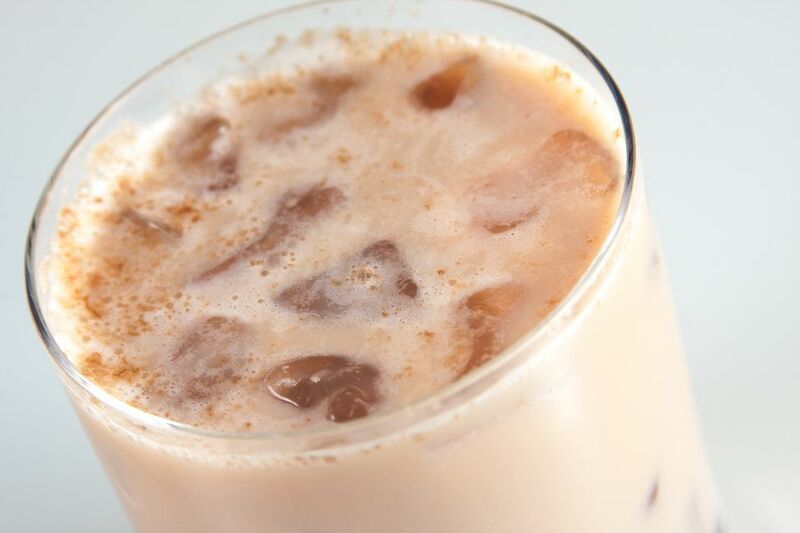 You can vary the milk that you use in the brandy milk punch. You can make it creamier by using half-and-half or even heavy cream. Often you will see recipes that call for 2 ounces of milk and 2 ounces of half-and-half or heavy cream for a single serving. For a lighter choice, use nonfat or 1 percent milk. If you don't tolerate milk products well, you can switch the milk for alternatives such as soy milk or almond milk. As some of these are sweetened, you might want to adjust the amount of simple syrup you add. Brandy is a liquor that is distilled from fermented fruit juices and then aged. Commonly it is made from grape juice, but it can also be made from other types of fruit. Cognac is a high-end brandy from Cognac region of France. If you want to impress your guests, you could proudly display a bottle of V.S.O.P Cognac, which indicates it has been aged at least five years in wood. A Spanish brandy de Jerez will usually be reasonably priced and its sweetness and full flavor go very well in brandy cocktails. As well, there are many American brandies that can be found. These tend to be sweet and mix well in brandy cocktails. You can either buy simple syrup or make your own. It is two parts sugar to one part water, brought to a boil and simmered for 10 to 15 minutes. For example, 1 cup of sugar to 1/2 cup water. If you are using a raw egg in this recipe, it brings a risk of Salmonella. It is recommended that eggs be fully cooked before being consumed, but that would not be appropriate for a cocktail.